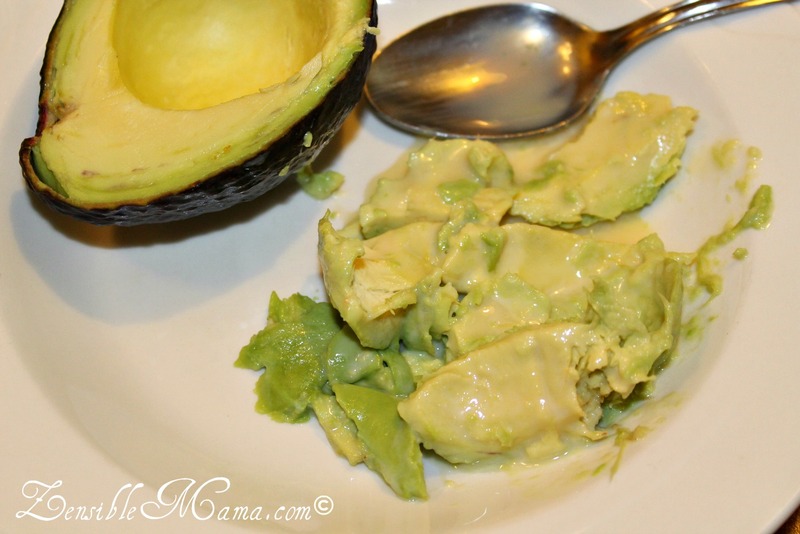 Zensible Mama: Other Unheard of Way to Eat Avocado! 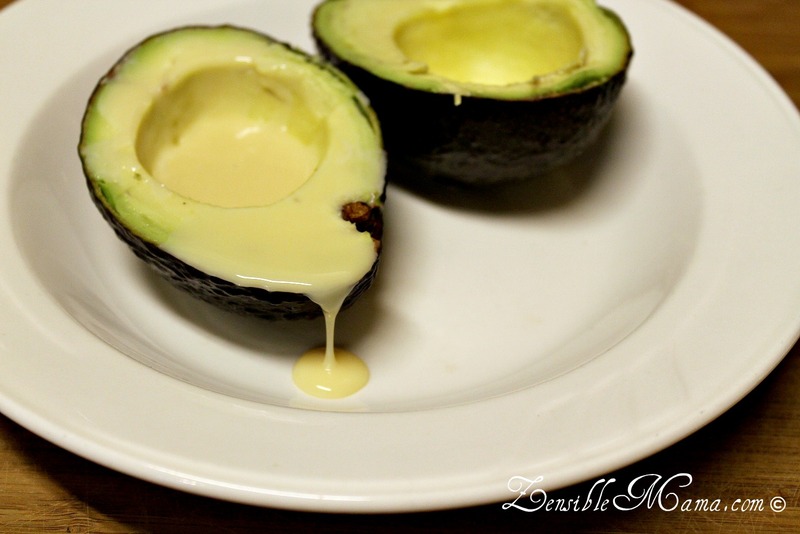 Other Unheard of Way to Eat Avocado! I have been in so many avocado-licious chats online and whenever I drop the "this is how I eat my Avocado" line, more often than not, I instigate reactions of disbelief. Like as if I was a Martian telling them how aliens eat avocados! But it might as well be. Eating the Avocado the way I do is not a common way of consuming the Avocado in the US (or so I was made to believe). So how do I eat Avocado? I drizzle it with condensed milk. Yes, condensed milk! Though I love to cover it with thick goo and then I scoop the fruit with a spoon and feast on it. Yum! OR you can scoop the meat out (like most normal people do) and mix in enough portion of condensed milk and enjoy! 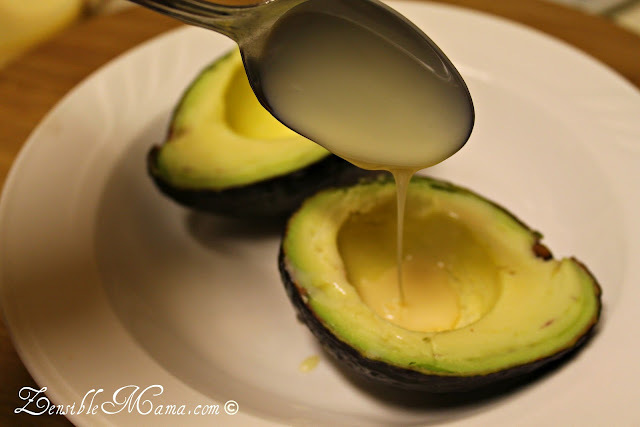 This is how I've eaten my Avocado all my life growing up in the Philippines. It's how we eat it. It's a snack. A dessert. And we love it! Sometimes sugar is preferred in place of the condensed milk. 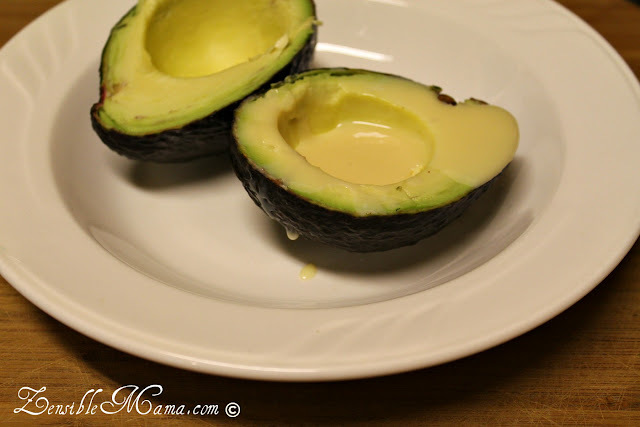 Haas avocado is quite flavorful than it's bigger, green Fuerte counterpart, and taste yummier with the condensed milk. Now go try a different experience with Avocado! You might just like it. Now, do you think it's weird how I eat it? Amazing! This sounds absolutely simple and delicious. Having grown up expecting avocado as Tex-Mex, in salads, or on sandwiches, it never occurred to me to have them as dessert. I can't wait to try it. I almost always eat my avocados straight out of the "shell," like you. However, I've never tried it with the condensed milk. Sounds yummy! I often eat them straight from the shell and that's how I fed it to the boys when they were babies. But sweetened condensed milk on top sounds amazing! thanks for the tip! Condensed milk that is very cuban way of eating them (I lived in Miami for 8 years). I have to try it! I never met one i did not like .. I am pinning this.